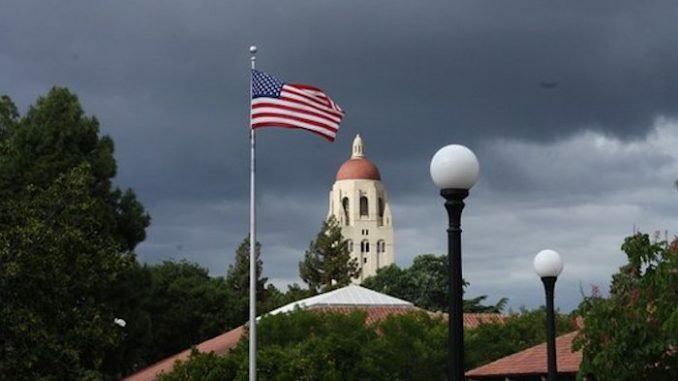 In an email recently sent by the Stanford copyright office, Republican students were told that it was prohibited to use the American flag on any club tee-shirts or logos. 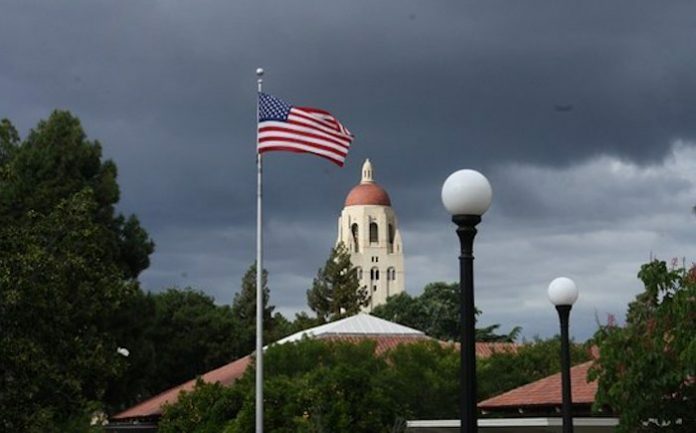 “Stanford does not approve the use of the American (or other flag on product also featuring our trademarks (including the Stanford name),” stated in the email. “We can approve red/white/blue themed product but cannot approve this design which features altered version of the flag in the background of the design, and within the initials for the organization name. I note you feature a different design on your website — we would be able to approve that design on product,” Stanford added in the email. We know that Stanford is extremely left wing. Just last year in 2017, Stanford started an initiative to put abortion pills in school wide vending machines, along with subsidizing them. Who knew that Stanford’s extreme leftist beliefs would go so far as to stop students from using the flag of the country the university sits in. This is an absolute violation of rights. There will always be a push to shut conservatives up at liberal schools like these, but this is a MAJOR infringement on the students’ first amendment right. Stanford and other major ivy league schools receive enormous government grants. They take that money and use it to spread their leftist beliefs. First they subsidize birth control in vending machines, and now they tell their students that they are not allowed to use the American flag in a logo. The Stanford College Republicans will continue to fight the backlash of the left toward conservatism. Stanford has been known to be very left wing, and this is the icing on the cake.